The others are jersey or stick cards. 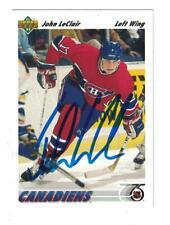 JOHN LECLAIR AUTOGRAPH HOCKEY CARD. THIS CARD IS IN MINT TO NR-MINT CONDITION. 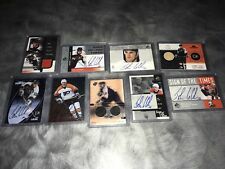 You are looking at a14/15 UD THE CUP JOHN LECLAIR B-JL BRILLIANCE AUTOGRAPH CARD. 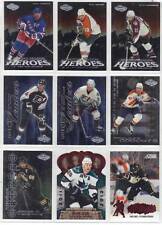 Combined s/h for team sets and lots will be a bit more. Add. 50 each extra lots bought.